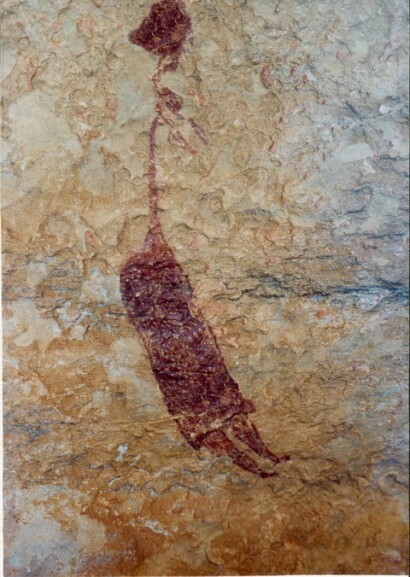 The Cave men paintings from Val del Charco del Agua Amarga are the most ancient human remains from Alcañiz. In December 1988 the Primitive art from the Mediterranean Arch in the Iberian peninsula was declared as Worldwide Cultural Heritage. Val del Charco del Agua Amarga is one of the four most important archeological sites in Aragón. It is found in the city of Alcañiz and it constitutes a key site for the study of Spanish Eastern Art. This site was discovered in 1913 by Carlos Esteban, a chemist from Valdeargorfa. You can follow two different routes to visit the paintings. One is found 17km far from Alcañiz. The other is 12km far from Valdeargorfa. The paintings contain more than 150 human figures in very bad conditions until being recently restored. The site may have been a meeting point or a sanctuary where some religious and social rituals and ceremonies could have taken place. The paintings evoke hunting scenes and fertility as having a magical meaning. The paintings were found in such bad conditions that in 2000 some urgent measures were taken. All kind of waste materials was removed from the vicinity of the site. The gate was sanded down and painted, the paintings were restored and an explanatory pannel was placed on the site. A signpost was also placed by its approach. Furthermore, a guide was edited aiming to both promote and protect the place. This archelogical site was declared Heritage of cultural interest. It was, together with other sites from the Mediterranean arch, declared World Heritage by UNESCO. The value of El Cabezo del Cuervo lays in the fact that it is a place where you can find traces of legacy left by different cultures: the indigenous culture from the Bronze Age, the Indoeuropean culture and the powerful cultural impact of the Iberian. Cascarujo and Siriguarach are the names of some villages of the Bronze Age. The Iberians came from the coast and El valle del Ebro. You can see traces of their legacy in El Cabezo del Palao and El cabezo de Alcalá de Azaila all of which constitute a magnificent illustration of this period. The Iberians brought a more modern lifestyle with their more complex economy: cereals, olive trees, vines, cattle, the beginning of the industrial activity, new funeral rituals and growing commercial exchanges all of which involved a qualitative step forward in terms of civilization which is best illustrated by the complexity of their buildings and their town planning. The Ilercavones and the Sedetanos were the people who coexisted in the time of a peaceful process of Romanization in El Bajo Aragón. Our region belonged to an administration known as Convento Jurídico Cesaraugustano adjoining a different administration in the region of El Matarraña known as Convento tarraconense. During the Romanization, both Alcañiz el Viejo and El Palao were still occupied by their native people, which proves it was a peaceful process. In 427 AD Eurico's troops occupied the city of Zaragoza and gradually they advanced on the valley. The Visigodes hardly left a trace in our lands. Similar to the Romanization, the Moorish invasion in Alcañiz and El Bajo Aragón found no resistence. In the spring of 714, the first Moorish troops arrived to Zaragoza and occupied El valle del Ebro. The most pervasive influence of the Muslims in our region is found in the names of towns and rivers.